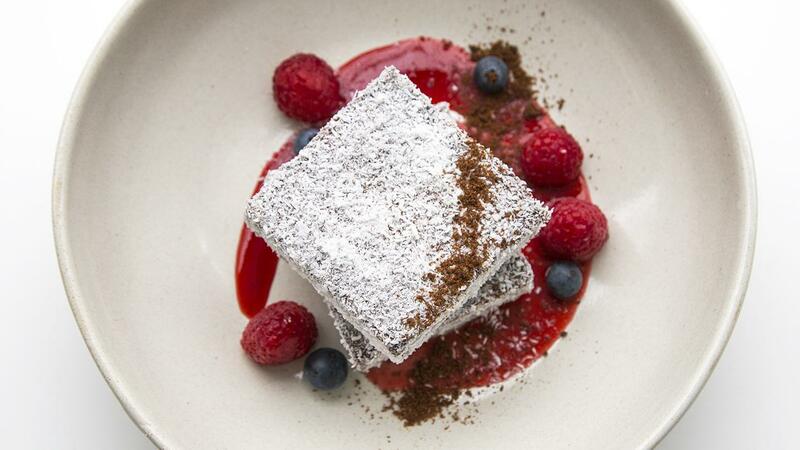 Try this frozen lamington mousse recipe for a twist on an Australian favourite. Your residents will be requesting this dessert every day. Place milk and CARTE D’OR Chocolate Mousse into a mixing bowl, beat on low for one minute, then high for two minutes until thick. Pour in to a baking tray and freeze until set. Cut frozen mousse into squares and coat with coconut. Garnish with raspberry coulis, raspberries, blueberries and chocolate biscuit crumbs.